How to cover credit risks in export business? 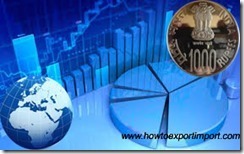 MLFPS in Foreign Trade Policy of India – Was really helpful for exporters? The new Foreign Trade Policy 2015-20 is being declared on 01st April, 2015. This article is a continuation of export schemes and incentives provided by Government of India to exporters to earn foreign exchange to strengthen India’s balance of trade favorable. Some of the export sectors or some of the export products could be left out under Focus Product Scheme list to enjoy reward scheme,but those sectors/products perform high intensity and provide employment potential. Such exporters are eligible for 2% incentives on FOB value of exports in foreign exchange under Focus Product Scheme when exported to the Linked Markets and countries, which are not covered in the present FMS list. Can we expect MLFPS scheme in Foreign Trade Policy of India 2015-20? Comment your thoughts about MLFPS under Foreign Trade Policy. 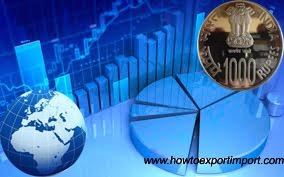 How to protect buyer and seller in triangular exports? mahajan textile finishers pvt ltd: On 05 January 2016 what to do if original exchange control copy of shipping bill is misplaced.